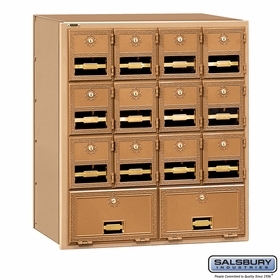 Budget Mailboxes offers Brass Style Mailboxes with solid brass die-cast doors. 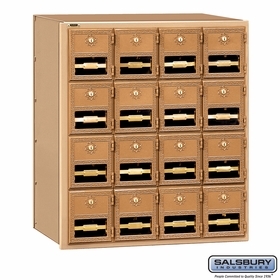 These 2000 Series Mailboxes come in five unique door configurations. Question: I am assuming these mailboxes meet post office code. How high do they have to be off the floor? What is the maximum height? Thanks! Answer: No, these mailboxes are for private delivery. 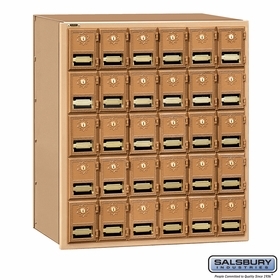 Typically used in stores like "Mailboxes Etc". For USPS-approved boxes, checkout the 4C Units. Question: I'm looking for a lock bracket for the brass mailbox. Is it available? 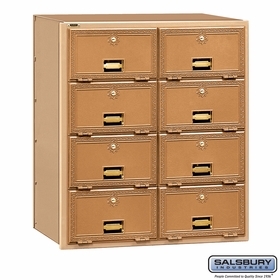 Answer: Yes, please click the link to view the Lock Bracket for brass mailboxes. Thank you. Question: I need 100 boxes do you have front-loading panels of 25 boxes? 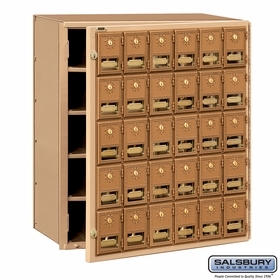 Answer: We do have 25-door mailboxes. I am not sure what you mean by panels. Please call for assistance. Question: Do you guys have something like this (30-Door Brass Mailbox Front Loading) but for 18 units and also slot for outgoing mail? 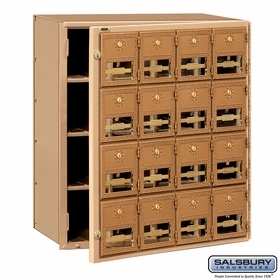 Answer: There is no 18-door and the brass mailboxes are not made with outgoing mail slots.